Jump to video What’s next for U.S. space program? 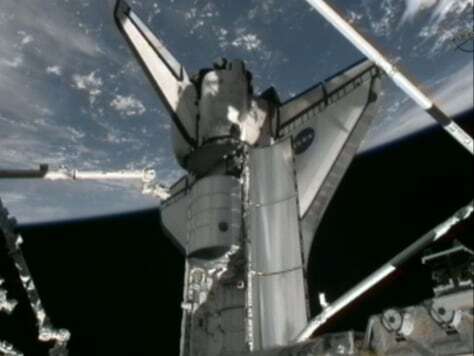 This image from a NASA video camera on the International Space Station shows the Rafaello cargo module on the International Space Station before it was plucked from the shuttle Atlantis' payload bay and delivered to the station. The cargo pod is packed with tons of supplies to keep the station stocked up for an entire year.